Impurities in the air around the compressor are sucked into the system and become concentrated while the compressor is running. 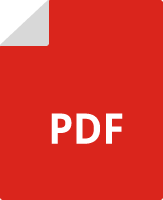 These impurities may take the form of a liquid (water, oil), vapour (hydrocarbon), gas (carbon dioxide, sulphur dioxide, hydrogen chloride) or particulates (dust and other). Unless removed, these impurities may cause serious damage to the equipment and reduced quality of end products. 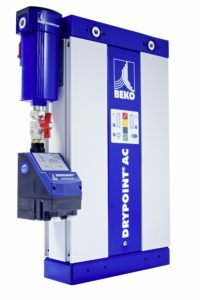 Beko Technologies adsorption dryers are designed to deliver effective and economically viable solutions to such problems. Drypoint AC adsorption dryers are used in applications where air quality requirements in terms of dryness and cleanliness are very stringent. For example with laser machines cutting sheet metal, which demand dry air of high quality, in medicine, food industry, and other. Every Drypoint AC dryer comes with a pre-filter and a final filter, both factory-installed, with built-in differential pressure gauges to allow users to monitor their effectiveness. The pre-filter also allows the discharge of condensate with almost zero pressure loss. The working surface of the filter is large enough to minimize pressure loss. Thanks to its compact design, Drypoint AC takes up little space. Inlets and outlets allow easy hook-up. The built-in display and pressure gauges for precise monitoring of the operation.